Diabetes Mellitus comes in two forms, Type I and Type II. Unlike Diabetes Type I, Type II Diabetes Mellitus occurs later in life. The majority of Type II Diabetics are women. Documented in medical journals, drinking alcohol can lower the risks of complications for women who have Type II Diabetes Mellitus. A light to moderate amount of alcohol and life style enhancement has the greatest positive effect and will benefit a woman's future health. The mechanism of alcohol's effects, in moderate amounts of about 2 drinks a day, can decrease the insulin resistance in women with Type II diabetes. In a normal situation, the insulin acts on the peripheral cells where the glucose or sugar is waiting to enter. The insulin binds to the cell and the glucose enters. Unfortunately, in this type of diabetes, the insulin does not bind to the cell where the insulin resistance takes place and the glucose can't go inside. This results in hyperglycemia which is most toxic to the body. Beer and wine were shown to have greater benefit than hard liquor. On the other hand, too little or too much alcohol has been implicated as risk factors for this type of diabetes. It is dangerous to consume too much alcohol as this can lead to adverse effects such as hypoglycemia, inhibition of insulin secretion, pancreatitis, increased incidence of breast cancer, ketoacidosis, cirrhosis of the liver, and most notably, addiction. Women who have experienced menopause are at even higher risk for Type II Diabetes. They are also at risk for cardiovascular disease. Alcohol's benefits are that it can increase the level of good cholesterol such as HDL, decrease platelet aggregation, and reduce incidence of myocardial infarction. In southwestern France they have high saturated fat diet. The French workers in this study have a 36 percent lower incidence of coronary artery disease when compared to similar U.S. workers. They have a high intake of red wine with antioxidants and they have shown lower platelet aggregation and lower atherosclerosis. As stated previously, this suggests that not only is alcohol good for Diabetes but good for the heart as well. Drinking alcohol is not the only way to decrease the chances of acquiring Type II Diabetes. There are many other factors that influence the development of this disease. According to the New England Journal of Medicine researchers led by Dr. Hu, overweight and obesity is the single most important predictor of diabetes. They also say that "lack of exercise, a poor diet, current smoking, and abstinence from alcohol use were all associated with a significantly increased risk of diabetes." Obese women, who choose to exercise regularly and follow a healthy diet while abstaining from smoking, can decrease their chances of acquiring diabetes by 24 percent. It is 50 percent for overweight women. 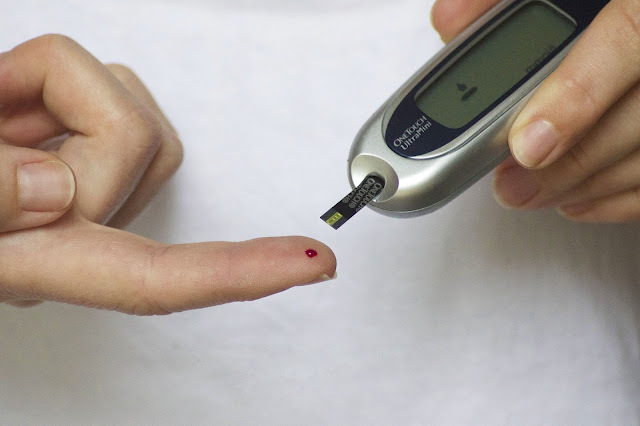 If you are concerned that you are at risk for Type II Diabetes, the following symptoms are clues that a follow up by your physician is necessary: Frequent urination, increased thirst, increased hunger, slow-healing wounds and sores, prolonged and unexplained fatigue, numbness or tingling of extremities, and gynecological fungal infections in women. Type II Diabetes Mellitus is a serious illness that necessitates immediate care. There are many behavioral modifications that a woman can take to relieve some of the symptoms and overall illness of diabetes. Alcohol in moderate amounts is a first step and is important to decreasing insulin resistance and even helping the heart and cardiovascular system. Diet, exercise, and cessation of smoking are likewise important. Lifestyle changes are the first step. To begin, see your physician and start a plan of action to help yourself from a potentially debilitating disease and live a healthy and satisfying life.